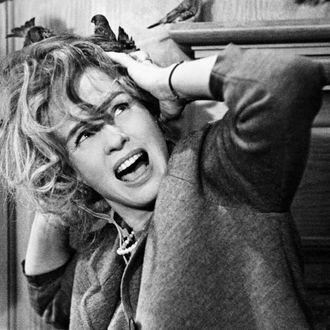 Alfred Hitchcock’s classic The Birds was loosely inspired by real birds going bird-bonkers in 1961 in California, and now scientists say they’ve discovered what caused the avian mania: plankton. According to an article in this month’s Nature Geoscience magazine (maybe you read it at the nail salon? ), the long-running theory that the birds were suffering from the effects of an ingested neurotoxin was right, and that the poisoning was likely an effect of leaky septic tanks. What scientists have yet to investigate, for some insane reason, are the real-life influences of Birdemic. What kind of poison plankton caused that movie, Nature Geoscience magazine?